Well what a surprise … a Democrat is opposed to expanding the civil rights of the citizens living in his state. Who would have imagined such a thing? 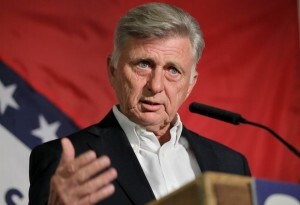 Actually I suppose I shouldn’t be surprised at Governor Beebe’s anti-civil rights stance since even the left-leaning Blue Arkansas Blog has chastised him for reappointing an Alderman who sent racist emails about African-American city officials to a state commission. But to be scrupulously fair, I should point out that this is not strictly a Democrat vs Republican issue. In truth, there are four democrat co-sponsors of the legislation which would convert Arkansas’ concealed carry permit system to a carry permit system allowing permit holders to carry openly or concealed as they see fit. So not all Arkansas Democrats are anti-liberty and not all Arkansas Republicans are pro-liberty. For example, Republican Speaker of the House Davy Carter has also come out in opposition to the bill. If you are an Arkansas gun owners then let Governor Beebe and Speaker Carter know what you think about their stance against the civil rights of gun owners. This entry was posted in Anti-Gun Democrats, Arkansas, Licensed Open Carry, Open Carry, RINOS. Bookmark the permalink.